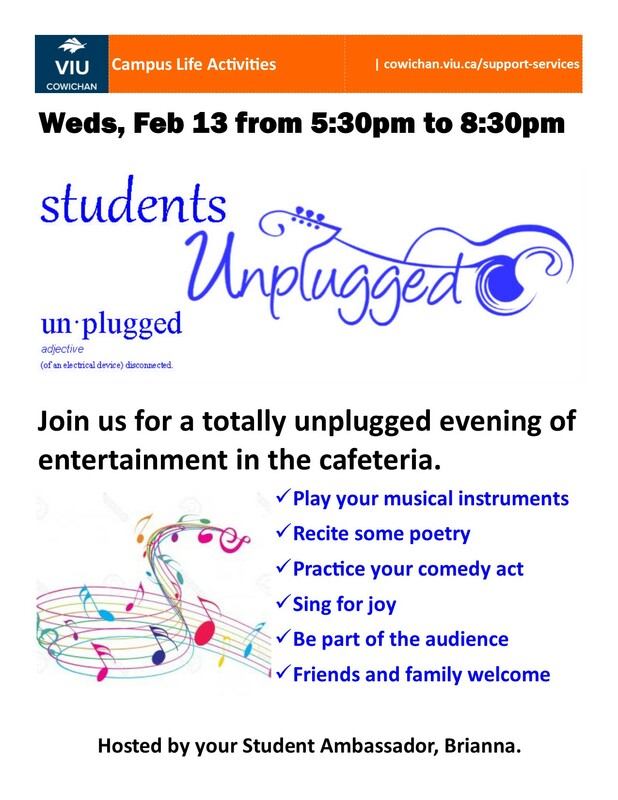 Join us for a totally unplugged evening of entertainment in the cafeteria. Play your musical instrument. Recite some poetry. Practice your comedy act. Sing for joy. Be part of the audience. Friends and family welcome. Hosted by your Student Ambassador, Brianna.